After last week splitting a pair of friendlies against Italy, the Dutch men continued a run of brutal World Championship preparation with a pair this weekend against France. The matches, in France, again resulted in a France winning 2 and the Dutch winning 1. The Netherlands won 3-0 in the first matchup on Friday, France won a shortened rematch 2-1, and then France took a 3-0 sweep on Saturday. On Friday, the teams had agreed to 6 sets, split into two 3-set matches, with the 3rd set of each match going to 15 points. 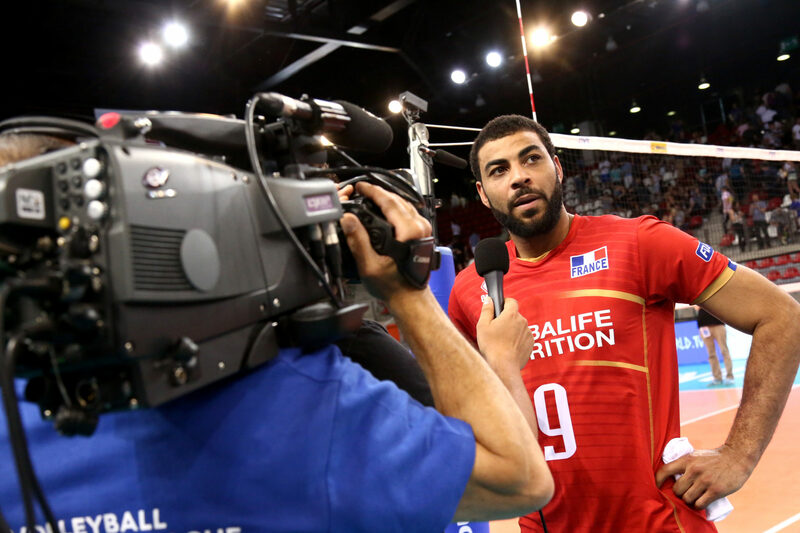 When France had their star outside hitter Ngapeth on the floor, they were clearly the dominant team. France has more talent than the Dutch do, but because the Dutch didn’t play in the Nations League, their training camp started a week earlier, and they’ve played more friendlies, so they had some advantages of cohesiveness. In the two matches where he played, Amir Abdel-Aziz excelled for the Dutch, scoring 15 points in the second 3-setter on Friday and 25 in the four-setter on Saturday. In the rubber-match on Saturday, which was the big show of the weekend, France went full-bore, and had a dominant 2nd set that featured 7 points from Chinenyeze out of the middle and 6 points from Boyer at opposite. The two teams will play each other next in Pool B of the World Championships in Ruse, Bulgaria. The top 4 in that pool out of Brazil, Canada, China, Egypt, France, and the Netherlands will advance. A full-strength Canadian team makes Pool B probably the toughest in the first round of that competition. The Netherlands will continue their gambit with three friendlies against the Olympic Champions Brazil, in Brazil, next week.